If your business is like others in Cleveland, Texas, it’s expanding and growing. If your company still uses an older business telephone system, your staff will have a difficult time keeping up with the increased communication demands that go along with expansion. As a business grows, prospects, clients, vendors, and other industry associates require increased interactions and higher levels of communication. An older, non-integrated phone system can cause your employees to miss important calls, waste time playing phone tag, keep people on hold too long, and limit productivity. Sure, your older phone system can still make calls, put people on hold, and transfer calls, but that doesn’t mean it can handle the demands of a growing business. Older phone systems may not integrate with other technologies used by your staff and clients. The latest business phone systems integrate seamlessly with other business applications and popular technologies like video and voice conferencing, mobile messaging, voicemail via email, and many others.  The highly knowledgeable, experienced professionals at Action Communication will partner with you to determine the business communications solution that best fits your goals and budget. We provide full service rollouts of all new communications technology, including SIP trunking, VoIP, cloud based, digital, and more. Our certified technicians and engineers have a minimum of five years experience in cabling services and will take your project from start to finish with minimal disruption of daily operations. Our solutions come with maximum flexibility and scalability and fully integrate with other technologies used by your staff members. We also implement video conferencing and surveillance systems, overhead paging systems, and develop custom business applications for clients — all of which fully integrate with your new business voice and data solution. Our comprehensive suite of productivity-boosting business communications solutions are backed by dedicated engineers and customer service representatives with a commitment to helping clients get the most our of their new systems. The Action team is your team. We make choosing the right telecommunications services easy. Contact us today.